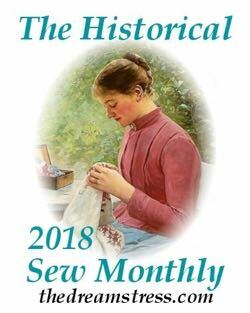 2017 is the fifth year of the Historical Sew Monthly, and to commemorate, many of this years challenges are repeats of some of the most popular challenges from the first four years. February’s challenge, Re-make, Re-use & Re-fashion, definitely deserves its place as the first repeat of the year, both for its popularity the first time it ran, and for how important it is as a historical concept. 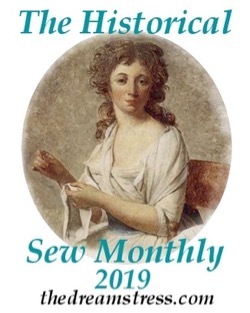 Until very recently, and in every period covered by the Historical Sew Monthly, fabric and materials were very expensive, and people got as much use out of them as possible. 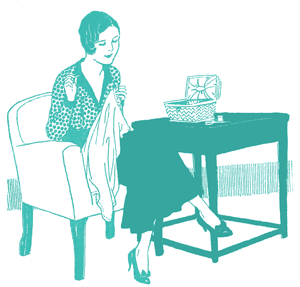 Fabric re-use is a very common type of re-making, re-using and re-fashioning. 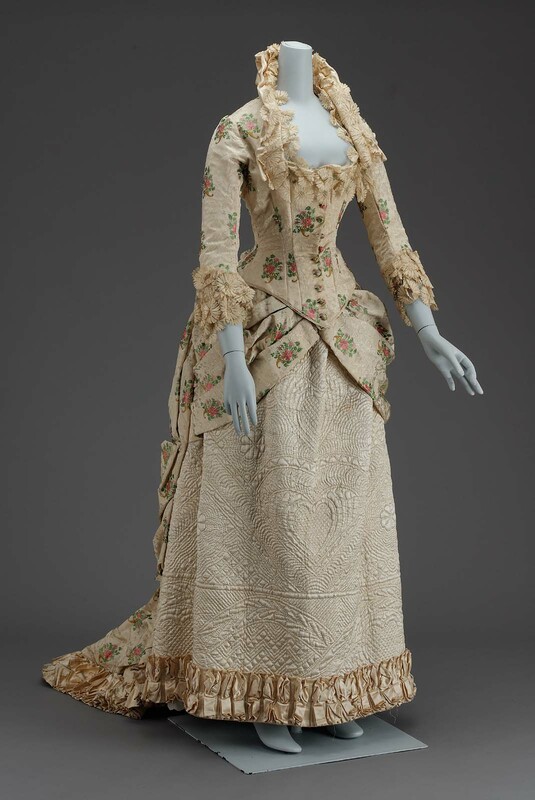 Many, many 18th century gowns in museum collections show evidence of re-making. 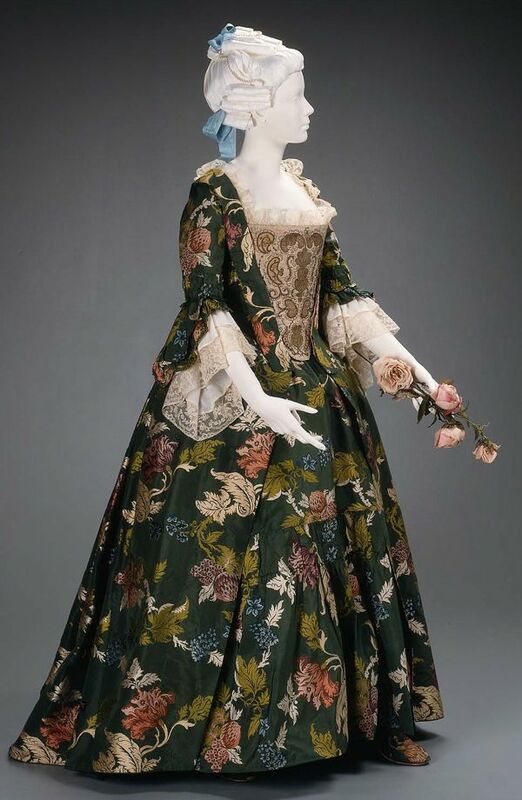 There are numerous examples of gowns made from 18th century fabric that were re-made a number of times in the 18th century, and then re-made again in the mid-19th century, a hundred years after the fabric was first woven. One of my favourite examples of 18th to 19th c re-use is this ca 1880 dress with an under-skirt fashioned from an 18th c quilted petticoat. 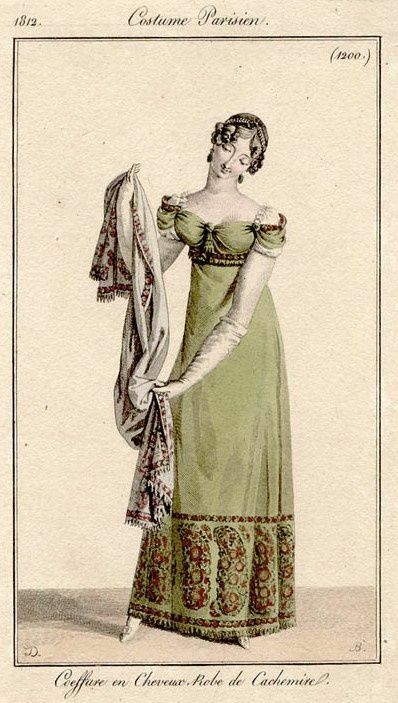 My most recent Rate the Dress post is another example of 18th-to-19th century re-use: an 1820s dress made from mid-18th century fabric. 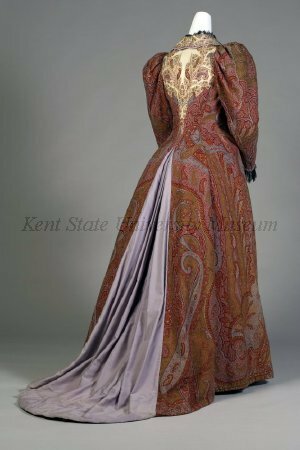 Garments were re-made from more contemporary fabric throughout the 19th century as well, just as they had been in the 18th century. They aren’t as obvious and common as their 18th century counterparts, in part because many fashionable 19th century fabrics weren’t as durable, and in part because the innovations of the industrial revolution made fabrics cheaper, and fashions change more quickly, so garments tended to be re-made after only a few years, meaning that the difference between the fabric’s creation date and the garment’s style is not so obvious. Louisa May Alcott’s ‘An Old Fashioned Girl’ has an entire chapter devoted to describing how poor minister’s daughter Polly helps previously rich Fanny to make a new spring wardrobe out of her worn out garments from past seasons. A ‘grey street suit, faded past cure’ is turned wrong side out to show ‘clean, bright fabric’, which, with ‘fresh trimming and less of it will finish you off as smart as ever’. Fanny has never worn a turned dress in her life: but clearly knows it’s a common enough practice for those with a little less money. Polly cheerfully admits ‘I’ve worn turned and dyed gowns all my days’. This type of re-fashioning and re-trimming continued into the 20th century. 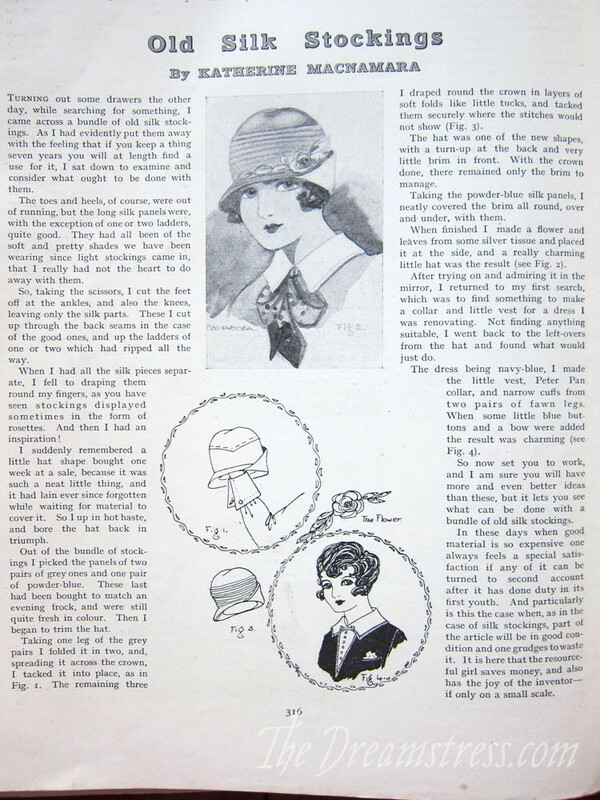 I posted this article on trimming hats with old silk stockings from Feb 1928. Kashmiri shawls are also an excellent example of historical re-fashioning: taking an item that was meant for one thing, and re-using it for another. 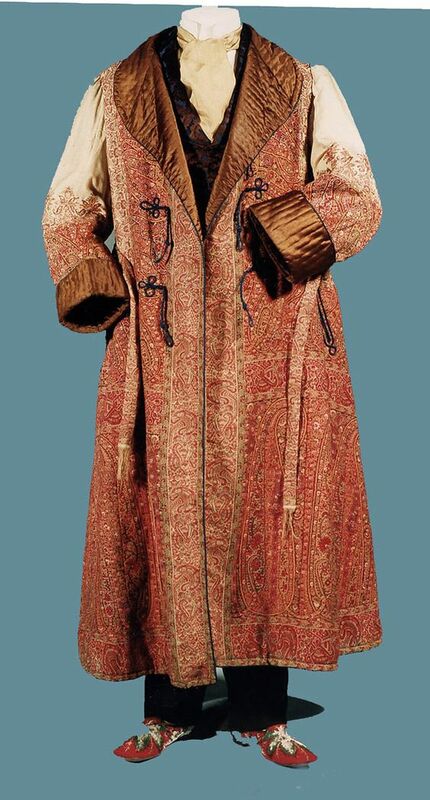 Early shawls were woven in Kashmiri as discrete garments, but European fashionistas also used them as fabric lengths which could be sewn up into garments. 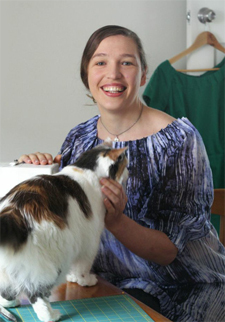 Re-fashioning is extremely common in the historical costuming community. The exact materials and items to make period items often no longer exist, so we have to make do. We re-shape modern hats into historical shapes, hack shoes to be as close to period originals as possible, re-fashion paint stirrers as busks for stays. I love historical accuracy, but I also love re-fashioning for practical reasons. I’ve shown you hot to turn a cheap modern fedora into a 1920s style cloche, and a straw sunhat into an 18th c. bergére style hat. I’ve turned 1990s heels into 1870s shoes, 1980s sinamay race hats into 1920s garden party hats, vintage tablecloths into 1900s blouses, sheets into petticoats, and lots more! While all of these were practical, some also manage perfect accuracy: as we re-make and re-fashion, we’re continuing on a grand tradition, which probably goes back beyond written records of garments. I can’t wait to see what everyone else adds to the tradition! I love to refashion things, mostly altering garments to something at least a little or more drastically different than the original. Friends of mine will often thrift shop bed sheets to make their 1860’s dresses for reenactments. I was going to do that, but we ended up finding several yards of fabric at a thrift store! Although it is interesting how they reused things in the past, sometimes I just wish they hadn’t so we could see what the original looked like! But that probably isn’t a real valid excuse, since I remake clothes that aren’t my style or don’t flatter me! I was thinking the same thing, Deborah. Can you imagine your granddaughters using the fabric from your current wardrobe to make their own things? Then again, they probably paid more in proportion for each yard. Would we really want more durable fabric if it meant fewer garments? That section of An Old Fashioned Girl is one of my favorites. I think the cleverness it shows, paired with a treasuring of one’s resources, embodies much of what attracts me to sewing. I already have a pair of smalls cut from an old shirt and awaiting the needle, I might be accidentally completing my first HSM challenge. I think we do tend to overlook how much of the historical household budget went on clothing – and we tend to overlook how little of the actual cost of clothing we tend to pay these days. Personally, I wouldn’t mind having fewer high-quality garments, as long as they were exactly what I wanted. There is little joy in facing years of wearing something that’s only sort-of what you were looking for! I’d really like to participate for at least some of the challenges (especially this one…), but I don’t have either a blog or facebook. Is it possible to participate trough instagram? Sure! I think other people do. Just use the hashtags #HistoricalSewMonthly17, HSMChallenge#2 etc. The timing of this post is uncanny! I found a large sized dress at the thrift store that has a pretty floral pattern–it was a handmade 1-piece wrap dress, which I have seen posted on sewing blogs. It will soon be transformed into a 1920s day dress which I plan to make for a friend. And I just finished making a pair of 1970s coulottes from an old tablecloth…. I love re-using, re-purposing! It will be fun to see what people do with this! I love to see things re-made and re-purposed. That quilted petticoat is gorgeous. I love An Old Fashioned Girl. I remember a bit where Polly was talking of some clever piecing which was placed so one couldn’t tell it was there (under the sleeve perhaps?). During the ’30s my grandmother’s family used to make underwear out of flour bags, which at the time were made from cotton calico. Then when WWII came along my grandfather was in the Air Force, and would sometimes bring home parachute silk. Apparently it was relatively common for Air Force wives to have underwear made from parachute silk because it was very high quality fabric, and so it was quite desirable. That’s super neat! Especially about the parachute silk! It’s funny, that makes me think of a woman I once met who remembered seeing for sale a special line of parachute silk slips at one of the local department stores during WWII (when she was a kid). Really interesting article and I would commit horrible crimes for the brocade in the top photo. By the way, I’ve completed Challenge #1 (January), and would like to link to it, but I’m not sure where to comment for that month.